As summer draws to an end and everybody becomes engulfed by the holiday blues, the Clumber Park Festival of Food & Drink came around to cheer us all up! 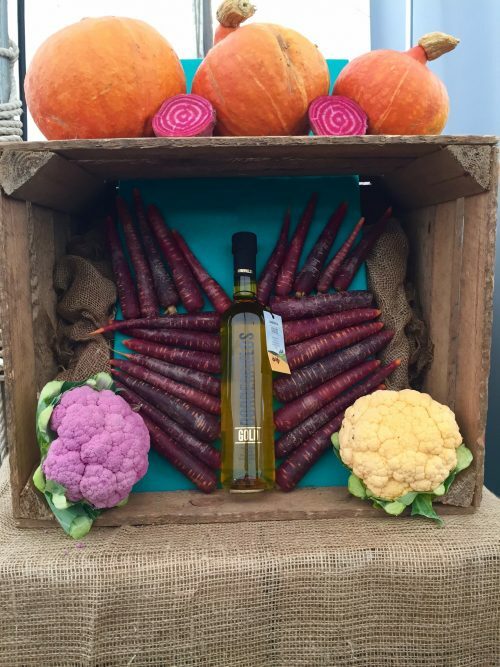 On the 15th and 16th of September, Borderfields set up shop in the main exhibition marquee of the festival. The weather was looking touch and go but luckily decided to keep the people of Nottinghamshire dry (at least for the first day!) the stand was dressed from head to toe in colour but sticking to the British farming theme we couldn’t resist a display of coloured veg and seasonal pumpkins fresh from the Hammond farm in Nottingham. Each year the festival draws in thousands of visitors, those who are keen for a day out and those who simply love food. Live demos form Rosemary Shrager, Phil Vickery and last year’s bake off finalists Jane Beedle and Andrew Smyth was one of the main attractions with people filling out the theatres to their hands delicious food and the all important cooking hints and tips. 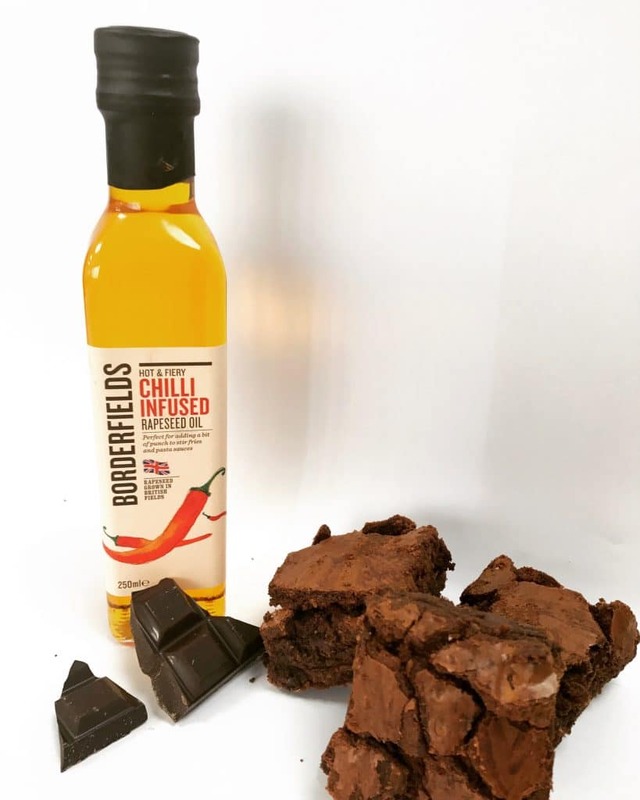 The entire Borderfields range was out on display and available for people to try and buy and our classic chilli chocolate brownies prepared with Borderfields Chilli Infusion didn’t last long! Baked with gluten free flour and Borderfields Cold Pressed Rapeseed Oil instead of butter, these chocolate treats made it on to the healthier side of the baking fence. Our award winning Borderfields Gold was impressing passers-by, quoting its smooth and nutty flavour which is perfect for every kind of dish and not forgetting its sleek and sophisticated design. Our cold pressed infusions were a hit as always with garlic selling out on both days! The rain didn’t stop visitors from attending on day 2 of the festival where we met more people who were enthusiastic towards cold pressed rapeseed oil and its benefits. We encourage everyone to try Borderfields and make the switch to a brilliantly healthy British product.